Kill climate deniers!! 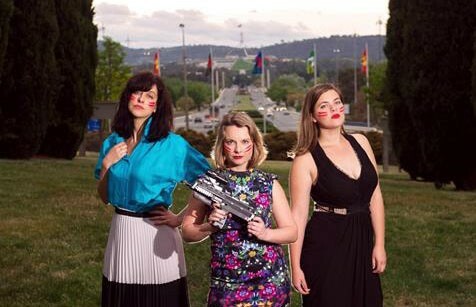 Die Hard meets Charlie's Angels in Canberra | Daily Review: Film, stage and music reviews, interviews and more. An unproduced play made internationally famous (at least in climate denial circles), will be performed in Canberra tomorrow night. 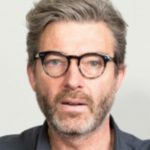 While Andrew Bolt and James Delingpole might be relishing more column fodder with which to attack its playwright David Finnigan, perhaps they should take a look beyond its deliberate attention-getting title: Kill Climate Deniers. Finnigan’s critics around the globe riled against the play and not just because of its title. They were outraged that ACT taxpayers gave Finnigan and Aspen Island Theatre Company $19,000 to develop the play back in 2014 through Arts ACT. Finnigan told Daily Review that the right-wing attacks on his play have probably prevented it getting picked up for a production by subsidised companies wary of controversy. They might also be intimated by the cost of staging an action/thriller/hostage Die Hard-style drama where 96 armed eco-terrorists storm Parliament House, take the entire government hostage and threaten to execute everyone unless the environment minister ends global warming that very night. But Finnigan, who was a Churchill Fellow in 2012 and is an Australia Council Early Career Fellow (2014-16), says that the play can be performed by five actors. The all-female play centres around the eco-terrorist leader named “Catch” and the Coaltion’s environment minister. “The eco-terrorists are the baddies,” he says, and Catch is the baddest (think Jeremy Irons in Die Hard), while the environment minister is the heroine of the 80-minute play. The eco-terrorists come to a sticky end. So what’s not for Bolt and Delingpole to like? Finnigan says that he, in fact is a climate denier himself, in as much as he is a “stealth denier”. The play sets out to raise discussion about climate change and Finnigan says its hyberbolic title was intentional and he acknowledges some might find it offensive. “Offending people is not the point — it’s never the point. But upsetting and offending people might be collateral damage on the way to making a bigger point,” he said. The play is still some way from a full performance. Tomorrow at 9pm at Canberra’s You Are Here Festival Finnigan himself will perform sections of the play with added commentary about the controversy surrounding it. He’s calling it (An Attempt to Perform) Kill Climate Deniers. The script is available for sale as an e-book on the play’s website and Finnigan and a colleague have also produced an accompanying late ’80s house music-infused soundtrack. Where did David Finnigan manage to get a Heckler & Koch MP7 FULLY AUTOMATIC PD WEAPON? Or is it a replica? Either way, it still comes under the control of John Howards Gun Laws. They are banned for use in Australia by civilians. I think Finnigan is being disingenuous when he calls himself a climate denier in act rather than words. His father is a global change scientist (a very notable one) and Finnigan knows what he is culture-jamming and science-jamming. Of course, the longer it takes him to stage the play, the more likely it is to get played out in the real world. I gather Senator Heffernan has been smuggling props into Parliament House already.